Located in what was formerly Ennis' Town Hall, this eatery offers a modern and creative style of cooking and has established itself as one of the top restaurants in Ennis. Excellent coffee and freshly baked scones are enjoyed as a mid-morning break and a tasty, bistro-style lunch menu is served throughout the day. Treat yourself to afternoon tea with a slice of Berry Crumble or Pear and Chocolate Tart. 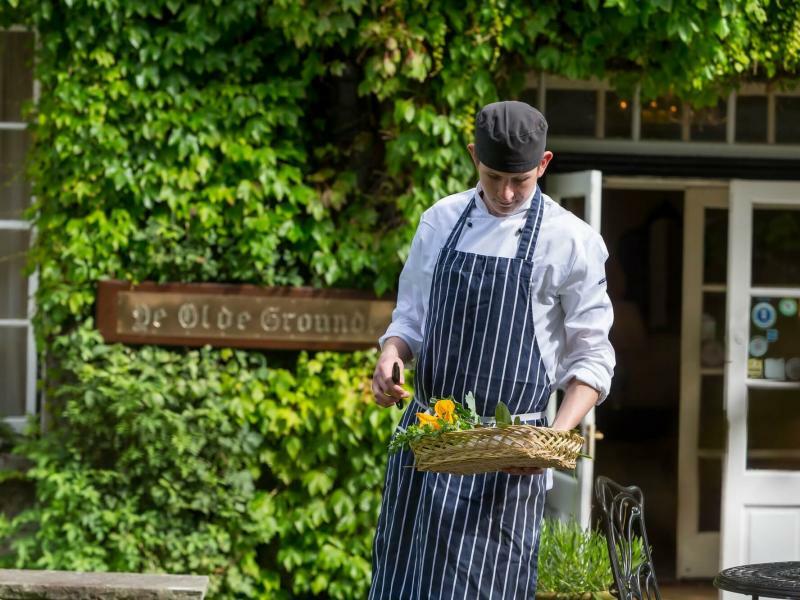 Local ingredients take centre stage throughout the menu, sourced locally from a network of passionate producers. At night-time, The Town Hall truly comes into its own. Original art acts as a theatrical backdrop to intimate, candlelit tables, creating a perfect setting for an exquisite dining experience in Ennis. This includes artwork such as the Battle Scene, a very large and beautiful piece by artist Tom Clement, which can be viewed along with other pieces of art throughout the hotel here. Over the years the Town Hall has become a staple in Ennis for fine dining cuisine as well as great atmosphere.